I watched this series on Netflix which showed 4 episodes. Every episode featured on Netflix was complex, thought provoking, and well done. I later learned there were 3 more episodes which I watched on youtube. It is an interesting series that is not easy to watch. Herzog shows the viewer that these monsters who have committed horrific crimes are still human beings. Some actually show some insight into their choices and how it resulted in their current fate. Most do not, and this can be frustrating. Several proclaim their innocence. 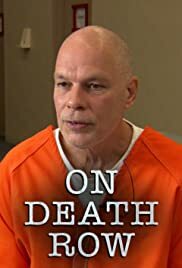 The great strengths of this series are (1) Herzog's ability to let each interviewee to speak without being guided or biased, (2) the balanced presentation of crime, victim and inmate and (3) an unsympathetic view of execution. I will admit I am conflicted regarding capital punishment. I believe many of these vicious animals deserve to die. But I acknowledge it is a flawed system that is racially and financially biased.